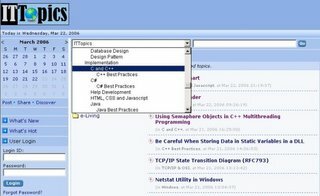 ITTopics.com is a community for all kinds of IT related topics. It is a IT knowledge base coming from IT professionals and servicing for IT professionals. Free register. You can post your article and share it with other people, but your topic must be professional.